Facebook is looking to all manner of media for the next step in its plans to take over the virtual world, according to a report in the New York Times. As well as its ongoing talks with Spotify, two anonymous sources have said that Facebook is in discussion with a number of other music services. The plan is to create a widget to show a Facebooker's most recently played tracks and an easy way for friends to listen to the same songs. 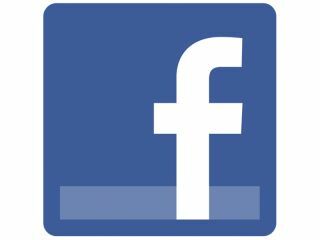 But it's not just music Facebook is eyeing up; the sources confirmed that it wants to do the same for video, news, TV shows and movies. Facebook intends to use outside partners to get around the issue of licensing music or video content, with each company partner offering a specialised news feed of the user's listening and viewing habits. Friends then simply click on the video or song title to get in on the media action. Facebook is staying tight-lipped on the matter, saying simply that "We're always looking for better ways to help people discover the most relevant content on Facebook but have nothing to announce." However, the rumours ring true with recent comments from both Facebook's head of international business development, Christian Hernandez Gallardo and CEO Mark Zuckerberg. Hernandez Gallardo spoke about Facebook being a social hub for TV shows, "You begin to create these hubs where you can take the passionate screaming and bring them together, because you realise that 10 of your friends are watching Top Gear at the same time. "We've talked to broadcasters about putting their whole EPG as events on Facebook, and letting people RSVP to them to get a reminder." Meanwhile, Zuckerberg hinted at the wider media focus: "Listening to music is something that people do with their friends. Music, TV, news, books — those types of things I think people just naturally do with their friends. "I hope we can play a part in enabling those new companies to get built, and companies that are out there producing this great content to become more social."